This letter is to inform and to request enforcement. Civil Air Patrol is a 501(c)(3) non-profit corporation. Additionally, it was chartered by Congress in 1941 to be the Auxiliary to the United States Air Force. It is not an Agency of the Air Force, and its Chain of Command is purposefully separate from the Air Force in order to avoid the conditions expressed in Section 1385 of title 18 (commonly known as the Posse Comitatus Act) … Enacted in 1878. Civil Air Patrol members are not sworn officers, they may not carry firearms in the execution of their duties, and although they wear an Air Force style uniform, their uniform is distinctive to prevent confusion. At no time, does a member escape the responsibility to obey the laws of nation, state or municipality. It is the demonstrated intention of others, and the actuality of their escaping individual responsibility to obey the laws of nation, state and/or municipality that I report and request assistance, enforcement, and if appropriate, prosecution. 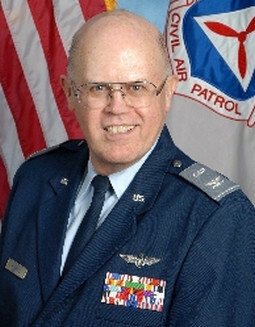 I am a resident of the state of Tennessee and a member of Civil Air Patrol since 1997. I am a licensed pilot with an Instrument endorsement certified by the FAA. I, along with many others were once proud to wear the uniform of Civil Air Patrol and be able to give back to our community through this organization, but in the past 6 months all is not well with Civil Air Patrol in the State of Tennessee and possibly nationwide. As a proud member of this nations premier Search and Rescue Organization, rising through the ranks to become a member of the Tennessee Wing Staff as Director of Flight Operations, I became deeply disturbed at the state of affairs concerning the maintenance and upkeep of our fleet of ten Single Engine Cessna Aircraft. I have lodged several Inspector General Complaints through the Civil Air Patrol chain of command for internal investigation and have received not one phone call from the Inspector General nor have I been interviewed to explain my views on this to help them facilitate their investigation to correct these incidents. Civil Air Patrol has in place Regulations and supplements that direct how their Aircraft Maintenance Programs are to be executed. CAPR 66-1, see online http://level2.cap.gov/documents/u_082503074011.pdf. This regulation instructs those appointed to the Aircraft Maintenance Officers Positions on the Procedures and methods to be used and is definitive and directive in its scope of the Centralized Maintenance Program. This regulation establishes standard aircraft maintenance management for all Civil Air Patrol corporate owned aircraft and does not apply to member owned, leased, or borrowed aircraft. This regulation applies to all personnel operating and/or maintaining CAP corporate aircraft. The terms used in this regulation are also defined as to the meaning and interpretation as to a sense of urgency in repairing these aircraft. 1. The term “shall” is used in an imperative sense and application must be adhered to. 2. The term “should” is used in a future tense to state the recommended or preferred act prescribed. 3. The term “may” is used in a permissive sense to state authority or permission to do the act prescribed. During the last 6 months, I have discovered in my opinion failed maintenance practices by constantly deferring maintenance with our fleet of aircraft. The maintenance Program as I have stated above has not in my best Judgment been complied with particularly Paragraph 8 of CAPR 66-1. Lt Col Bill Lane of Kingsport Tennessee and Col James Rushing of Maryville Tennessee are responsible for the proper execution of this program. Below are several examples of these failures and the documentation included to substantiate my claims? During June 2004, a Civil Air Patrol Corporate aircraft (Cessna 182 N1354E) was inspected by Smokey Mountain Aviation maintenance shop. During this 100 hour inspection, the shop failed to correct a number of items that had a direct impact on the airworthiness of this aircraft after leaving this repair facility. Enclosed you will find the last 100 hour/annual inspection invoice from the last 100 hour/annual inspection (December 2004) performed by Aircraft Technicians Maintenance Facility at McGhee Tyson Airport. In this invoice, you will note a number of items that could not have failed in a period of six months or 83 hours of operation. It is my belief that these items were never inspected during the course of this 100 hour inspection at the Smokey Mountain Aviation Repair Facility and if so we never were informed of these discrepancies items that needed to be repaired. Only after having the aircraft inspected at Aircraft Technicians Maintenance Facility on its next 100 hour/annual inspection did all these items come to light. If the mechanics had not inspected, noted and repaired this aircraft in the manner that Cessna Aircraft expects, the Civil Air Patrol Regulations, and the Federal Acquisition Regulations “FARS” REQUIRES there would have high been a high possibility that there would have been an accident in this aircraft. This is the reason we take our aircraft into the shop for these 100 hour inspections. 80% of our flying is below three thousand feet during training and real search and rescue missions. It is important to have the best maintenance money can buy for our aircrews during these low altitude operations. During operations after this aircraft came out of the inspection at Gatlinburg-Pigeon Forge, TN the pilots noted severe trim problems and this can be traced back to the cable tension finding that they were half or less than Cessna service manual recommends. The battery tray was crack so bad that the battery was about to fall through the tray itself. No stop drilling was attempted before in which a whole new tray had to be fabricated. There are too many items. I will let the invoice from the Aircraft Technicians Maintenance shop speak for itself. The question here is how the FAA can allow shops like this to be operated, when the volunteer pilots that fly these aircraft think it is safe to fly when it has had its 100 hour inspections on time. During the month of June 2004, N1354E a Corporate C182 was due a 100 hour/annual inspection. The aircraft was put into maintenance at the Smoky Mountain Aviation maintenance facility in Gatlinburg/Sevierville (GKT). The aircraft was supposed to receive a thorough inspection and was signed off by Denton Brown, A/P426060036 as being air worthy and in compliance with FAR 43, Appendix (D). After this was completed, during the Month of July, shortly after the aircraft was returned to full service Randall P. Patterson, Fred Koenig and Chip Baker departed in the “air worthy aircraft” from Knoxville’s McGhee Tyson Airport to Winchester Tennessee (IFR). Upon climbing to the assigned altitude of 6000 MSL, we leveled off and proceeded to clean the aircraft up for cruise flight using the aircraft checklist. Once completing this, I trimmed for level flight, and kept trimming the aircraft until the Trim was in 100% nose down. I found myself using excessive amounts of forward yoke to keep the aircraft from climbing but to no avail. I immediately informed my crew of the situation and contacted Knoxville departure for an immediate return to the field. While executing a 180 degree turn back, the aircraft still wanted to climb so I instructed my co-pilot to slide his seat forward and asked the rear seat passenger to remove the survival pack from the cargo area and put it in the rear seat. The rear seat passenger was also instructed to unbuckle and move forward in between the pilot & co-pilot seats until it was determined that we would make a safe landing and fortunately we did. Weight and balance were within limits prior to the flight in accordance with the Pilots Operating Handbook. In order to keep the plane from climbing, I had to reduce power and fly at a lower indicated airspeed than cruise. This aircraft had just come out of a 100 hour inspection and was supposed to be airworthy but it was later found that it was not. In December 2004, the Aircraft had to be delivered to another shop here at McGhee Tyson, Aircraft Technicians where a complete and thorough Inspection was accomplished in accordance with FAR’s and the Manufacturers Inspection checklist for the type of inspection being conducted. This aircraft had 66 discrepancies, 6 of which were directly related to SAFETY of FLIGHT. These discrepancies do not happen in 83 hrs of flight time which is what was registered from Jun 2004 to December 2004. Attached is a work order from Aircraft Technicians who performed the Annual Inspection in December 2004 and found these discrepancies. I ask that Smoky Mountain Aviation be investigated for violation of FAR 43, Appendix (D) for intentionally failing to properly inspect the following. Please match the following Discrepancy numbers to the attached work order from Aircraft Technicians in order to match them to Appendix (D) to Part 43. 1. Appendix (D) to part 43, C1, Discrepancy #24 & 25. 3. Appendix (D) to part 43, C6, Discrepancy # 7 & 8. 4. Appendix (D) to part 43, C7, Discrepancy # 39. 5. Appendix (D) to part 43, D8, Discrepancy # 207 & 214. 6. Appendix (D) to part 43, D10, Discrepancy # 206 & 210. 7. Appendix (D) to part 43, E3, Discrepancy # 26. I as well as every other pilot in the United States must trust our lives to these highly trained individuals who perform maintenance on aircraft and when they put my life in intentional jeopardy as Smoky Mountain Aviation did by failing to inspect this aircraft properly, their licenses should be pulled permanently and never allowed to perform maintenance on another aircraft again. Part two of this aircraft (N1354E) is a copy of the work order from June 2004 where work was completed 6 months prior to the above statement & discrepancies. Noted on this work order was a cracked Brake Caliper that was not repaired prior to leaving this facility. Attached here is the letter stating not to repair discrepancies on this aircraft. Quoting Denton Brown A/P Mechanic for Smoky Mountain Aviation “This aircraft came into my shop on 5-27-04. Bill Lane from Kingsport Tennessee delivered it. I was told by Bill Lane to perform a 100 hour inspection. Smokey Mountain Aviation and Bill Lane had a verbal agreement as to what repairs to perform on this aircraft. Left hand brake caliper was found to be cracked and Bill Lane was notified, he told me that this and any other discrepancies would be repaired at a later date. He told me that several CAP aircraft were in need of repairs, and would repair these items a little at a time, as needed. This does not include any parts that would be found to be unairworthy. A list was given to Smokey Mountain Aviation by Clint E. Renner as to what work was to be performed. A copy of this list is attached. It shows that this aircraft was sent to us for a 100 hour inspection. Repairs were to include changing three tires, oil analysis, adjust Idle and weigh aircraft. Now, if you compare the work order from June 2004 to the work order from aircraft technicians, you will note that no where does the work order from June 2004 reflect that the battery tray was so badly cracked that it was ready to fall through its tray. The aileron connecting rods were worn and needed to be replaced, the center elevator hinge bearing was worn, elevator cable tensions are at 15-20lbs (should be 30+/-10), elevator trim cable tensions are at 5 lbs(should be 10-15lbs), rudder cable tension is at 15 lbs (should be 30 +/-10 LBS), left hand brake caliper leaking (this was the cracked brake caliper from June 2004 THAT Smokey Mountain Aviation reported as being cracked and never repaired, SAFETY ISSUE), both check nuts on the right rudder pedal rod ends were loose, left rudder pedal shaft bearing is loose on pilots side, incorrect fuel tank placards, oil filler cap placard missing, broken & cracked exhaust shields for intake boots, missing one exhaust flange mounting nut for number 5 Cylinder and a nylon nut for cylinder number 1, exhaust muffler is loose at cylinder down piper connection just to name a few. Were these items not repaired in accordance the FARS? I filed an FAA Hotline Safety Complaint in April 2005 and the FSDO inspector from Nashville Tennessee, Bruce Bolton was assigned to investigate. Bruce Bolton came to my place of Business and talked with me a total of 15 minutes or less and he then proceeded to Smoky Mountain Aviation to talk with them. This whirl wind investigation took place in less than 4 hours as he was on his way out of state to attend training classes. His final conclusion was that Smokey Mountain Aviation was in compliance with the FARS and that I was using his office to further my position in a conflict that was ongoing with Civil Air Patrol. Mr. Bruce Bolton’s lack of judgment concerning the facts of the investigation with the complaint I filed leads me to believe he did not conduct a thorough investigation and failed to discharge the duties of his office. As you can see from above had he thoroughly reviewed both work orders, he would have found that the cracked brake caliper was never repaired in June 2004 (SAFETY ITEM) and is found on the work order for Jan 2005 Aircraft Technicians INC as having to be repaired. In a recent discovery, this issue has now come to the forefront in the Tennessee Wing to be included in our history. Recently, a Check Pilot Course/CAPF 5 Check Ride was held in the Nashville area where in fact that N97701 an N9987H were diligently pressed into service for CAP Form 5 check rides for our Tennessee Wing Check Pilots/Pilots. Now, it is a known fact that N97701 was grounded by the FAA for an inoperative fuel gauge, which may or may not have been repaired and thirteen other various non-grounding discrepancies. This particular corporate asset also has a known fuel leak in the fuel tank and has had for some time. One of the most significant aspects of administering the CAPF 5 flight check is the required instrument approaches that must be satisfactorily accomplished in order to act as PIC in CAP Corporate aircraft. As I have stated above, for this aircraft it appears that this aircraft was not IFR capable to perform any type of instrument flight check and therefore should not have been used in that capacity. In addition to this, on board the aircraft is an ADF for non-precision approaches that was also inoperative. A non-certified GPS was used to perform ADF/NDB approaches as part of the instrument portion of these checks rides as required by the CAPF 5. If these instruments were inoperative at the time of these check rides, how can they possibly have current CAPF 5’s when non-approved approaches were conducted? Why was this aircraft utilized with a known fuel leak in the fuel tank? N9987H, another corporate aircraft was utilized also as I understand had an inoperative ADF and was used in the same capacity as N97701’s required non-precision approaches. The GPS which is certified for (VFR ONLY) could have been possibly utilized for the non precision approaches required by the CAPF 5. The CAP Form 5, see online at http://level2.cap.gov/visitors/member_services/publications/forms_pdf.cfm is the equivalent of the Bi annual flight review as required by FAR 61.56 and FAR 61.57(a) (1)]. This is an annual requirement in order to act as pilot in command of a CAP corporate asset. As stated above, at least one aircraft should not have been flown or utilized for flight training until all discrepancies were corrected. The FARS require that the flight check being conducted must be accomplished for the type of certificate being exercised and in this instance it would be the Commercial, Instrument & ATP Certificates that should have been tested. CAP Regulation 66-1, Para 8 is a clear and precise violation of the Maintenance Regulation, a habit the Tennessee Wing Civil Air Patrol utilizes frequently. These individuals may have possibly received an endorsement as being instrument current when in actuality they were not. In the last few months, I have managed to bring to life the uncaring and complacent attitude of this organizations leadership to the point that this type and pattern of behavior has been consistent for the past 5 years and continues today even though the RED flag is now and has been flying as a warning to others. On August 10 2002, one of our Corporate Aircraft N9307X crash while on a Mountain Flying Training Exercise. On board, were three very experienced pilots with a total of over 20,000 flight hours between them. I knew all three of them personally and flew regularly with two of them, Lt Charles Hall and Capt Gerald McLinn. This particular aircraft as I have been told by one pilot who happened to be flying it, not on this day, when he extended the flaps they split meaning one flap came down and one was still retracted. This effect acts as an aileron by severely rolling the aircraft to one side. When I asked that particular pilot if it only happened one time, he told me “NO” that it happened on more than one occasion. The maintenance Facility could never reproduce this on the ground, but when in flight it would happen. I mentioned this to the NTSB investigator and apparently this was not addressed. At the crash site, I noticed one wing separated from the fuselage and the flap was in the down position while the other wing was still attached to the aircraft with the flap retracted. I am not an investigator nor do I claim to be, but in my logical and methodical line of thinking I would have considered that in my investigation as a possible factor. As I have uncovered these anomalies in the way the Tennessee Wing Civil Air Patrol routinely conducts there improper and complacent maintenance program, I am curious as to what complacent maintenance practices took place on this aircraft that claimed THREE lives on this day? 2. As from time to time manufacturers of aircraft issue service bulletins to be complied with that deals with an affected area of an aircraft that needs to be repaired. The Civil Air Patrol breaks these down into two categories, 1) recommended service bulletins and 2) mandatory service bulletins, see online at http://level2.cap.gov/visitors/resources/equipment_assets/aircraft/. The mandatory service bulletins according to the Civil Air Patrol for the safety of our pilots and crews must be complied with. However, Lt Col Bill Lane of Kingsport Tennessee thinks otherwise. Notice the gap between Feb 2001 and Oct 2003. This particular aircraft was not in compliance with directives on Mandatory Service Bulletins. We have what we believe to be non-compliance with these Mandatory Service Bulletins which if this is the case the SAFETY of these Aircraft are in serious question not to mention non compliance with the FAR’s. 3. The Tennessee Wing Civil Air patrol receives money in the form of grants and Federal dollars to support their programs. The Federal dollars are derived from the United States Air Force budget allocate in the fiscal year budget that is approved by congress each year. The Air Force sets the maintenance reimbursement rate as defined by CAP Regulation 173-3, see online at http://level2.cap.gov/visitors/member_services/publications/indexes_regulations_and_manuals.cfm. These dollars are reimbursed to the Tennessee Wing Headquarters financial section for services during practice search & rescue missions, actual missions, ROTC orientation flights, cadet orientation flights, counter drug flights and proficiency flights. These rates are reimbursed at and hourly rate. These maintenance dollars are supposed to go directly for the maintenance of these aircraft. Below is a chart showing the amount of income generated in Tennessee State fiscal year. This is maintenance reimbursement rates only that should have been used for aircraft maintenance. Along with this, was $50.000.00 dollars from the state of Tennessee for aircraft maintenance as well as $15,000.00 dollars deposited into their checking account at the beginning of the Fiscal year for a grand total of $108,000.00 for aircraft maintenance. My Question is where did this money in the chart below go to? These dollars have been misappropriated in my opinion. A1 thru A7, C15 are federal dollars. Be the first to comment on "Letter to Dept of Justice Concerning CAP Aircraft Safety"
An [CAP] organization that tries to silence criticism on that scale needs reform desperately. Unfortunately, real reform takes time. In the meantime, whistleblowers get squashed.